Every pet owner wants their animal companion – no matter what its breed or species – to live a long, happy life. Unfortunately, even the best cared for pets can develop special needs and physical handicaps that limit their abilities. If this happens, there are many ways pet owners can help their physically challenged pets overcome these difficulties and continue to thrive. Regardless of the challenge, it is important to understand that animals do not perceive these difficulties the same as humans would, and they do not suffer the same emotional traumas that severe challenges can create for humans. With patience, care and appropriate adaptations, a pet can continue to lead a full and happy life regardless of its physical challenges. Whether your pet's physical difficulties happen all at once or begin gradually, the steps to helping your pet overcome those challenges is the same. Consult a veterinarian to diagnose your pet's challenges, and work with them to determine how these challenges have come about. This may also require specialist or therapist consultations to determine exactly what problems your pet is facing. Once the diagnosis is complete, your veterinarian can offer guidance about the best treatment for your pet's specific needs, including whether or not the condition is progressive and what sort of reactions you can expect from different treatments. In some cases, a pet's physical challenges can easily be overcome if the root cause of the difficulties is resolved. 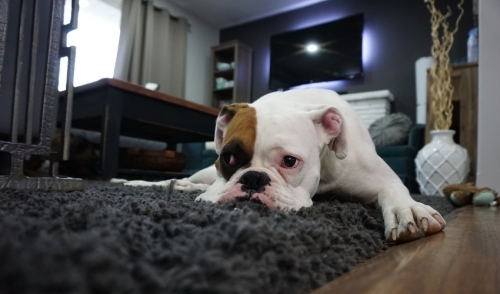 A pet with severe allergies, for example, may only need to change to a different diet or have some irritant removed from its environment, and their symptoms will subside. Even if the condition cannot be completely reversed, addressing the cause may be able to halt any ongoing progression that could make your pet's life more difficult. For pets with physical challenges, small changes to the environment can make great differences for how easily your pet can get around and enjoy life. This may mean lowering a bed or adding a riser to help your pet access a favorite chair or couch, installing ramps to help a pet that has difficulty climbing, installing non-slip surfaces to minimize the risk of falls for pets unsteady on their feet or removing barriers or other obstacles that cause problems for pets with limited senses. These simple changes can help your pet get around much more easily without risking further injuries. 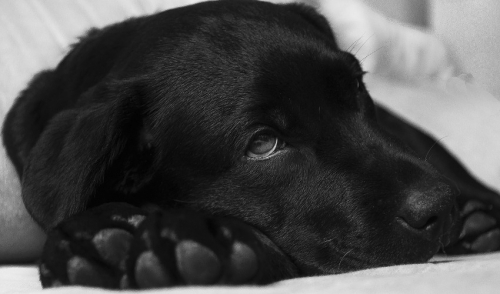 Your pet will feel more comfortable and at ease if they are secure in the daily routine. You should have a firm routine for feeding, exercise and other daily tasks, as well as the special tasks your physically challenged pet may require, such as daily medications or shots, physical therapy or assistance with potty time. Each task should be approached in a positive way with good reinforcement for your pet so they do not dread any of these actions. Use firm but positive commands so there is no confusion about what is expected of your pet. Some physically challenged pets may require special equipment to help them adjust to their difficulties. The exact gear that will be right for your pet will depend on its exact challenge as well as its size, temperament and needs. Typical gear available to help physically challenged pets includes slings, wheelchairs, braces, non-slip boots, diapers and other equipment. Choose equipment that is the proper size and fits your pet comfortably so it does not cause additional stress to the animal. You may need some specialized training of your own to help your pet overcome its physical challenges. Ask your veterinarian or your pet's physical therapist for guidelines, and be sure you know how to use any equipment safely and properly. You may also need to learn how to help your pet evacuate waste, administer daily shots or medication or do other simple tasks that can help your pet be more comfortable. The more of these tasks you do, the more comfortable your pet will be, rather than requiring veterinary visits or strangers to do them. At all times, you want to make the best decisions to give your pet a good quality of life. If you cannot properly care for your pet or afford the specialized equipment, training or veterinary care a physically challenged pet may need, there are assistance programs available and you can investigate alternative options to get your pet the help it requires. While no pet owner wants to make that "big decision" about end of life care for their pet, you should also be ready to keep your pet's best interests in mind if its challenges become too large to overcome. A physically challenged pet can be a wonderful member of the family. Not only will you enjoy all the fun and companionship your pet provides, but you will learn about your own reserves of compassion and strength and just how valuable a true friend can be, whether they have skin, fur, scales or feathers.